So school is about to start and even though it will be hot for a few more months and our summer clothes will work at first , we are in need of fall clothes. One place that is really great I have found to shop for kids is Kohl's. They have great brands and great sales. And then they have Kohl's cash which equals more savings! And that I love. So Kohl's asked me if I would like to do a little back to school shopping with them and I was excited to see what they had for fall. 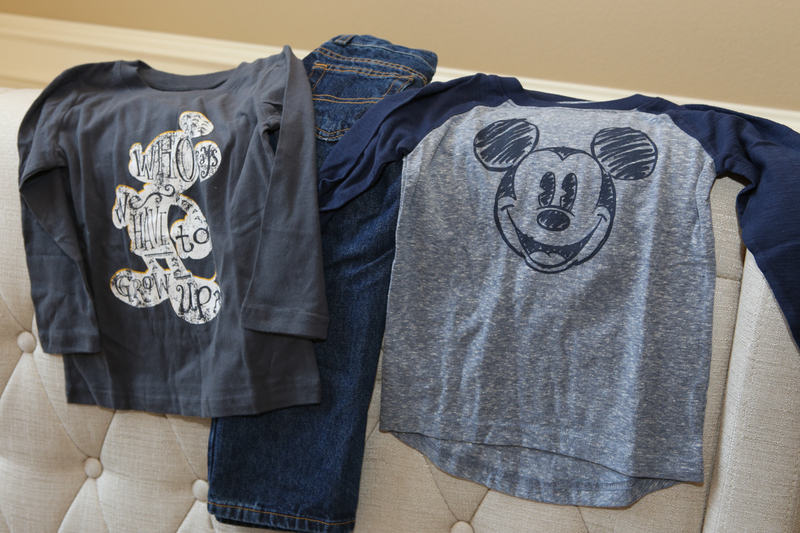 Almost as excited as Will Holden will be about these new Mickey Mouse shirts for fall. How cute are they???? The Raglan is just $7! My favorite part about Kohl's is their shoes. They have GREAT options. 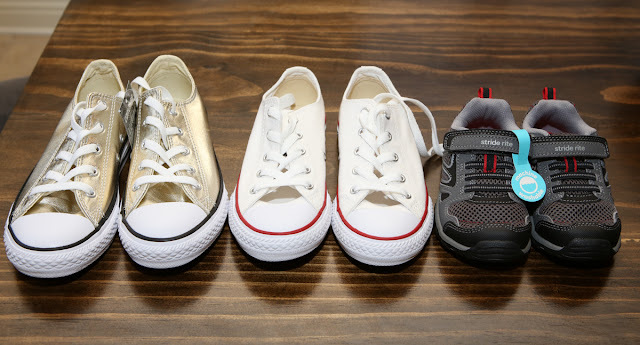 The kids all needed new tennis shoes. I let them pick out what they wanted. If you know me - you know my deep love for gold shoes. It's a weird obsession. 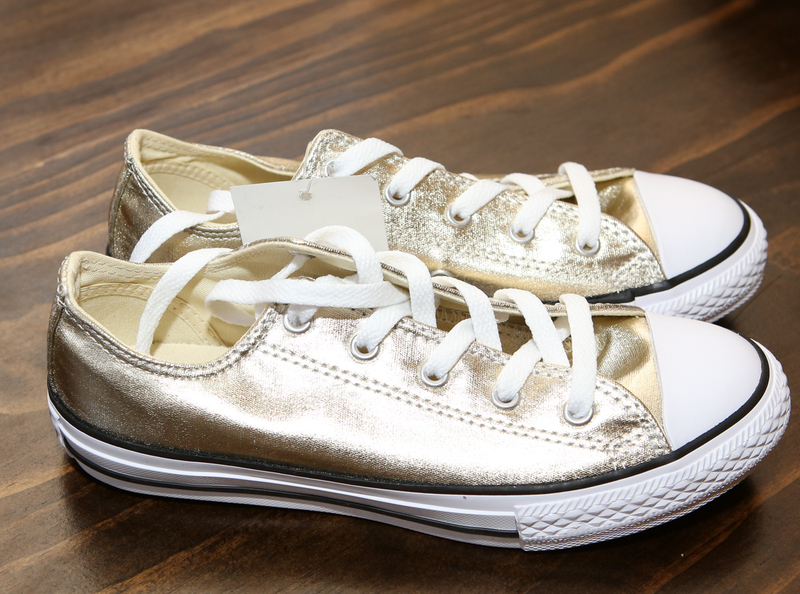 I had no idea there were gold converse. But Harper was THRILLED!!!!! She will probably insist on wearing them every day. Harper has moved into the "tween" sizes. It's hard to find cute clothes that look age appropriate. I found several cute options for her the she really liked. This dress came with a little cross body purse and a necklace!!! How adorable does she look? She said it felt soft like pajamas! We are excited for fall thanks to Kohl's. And here are deals for you!!!! Kohl’s Friends and Family Sale from August 17th-20th is 20% off with code SAVER.